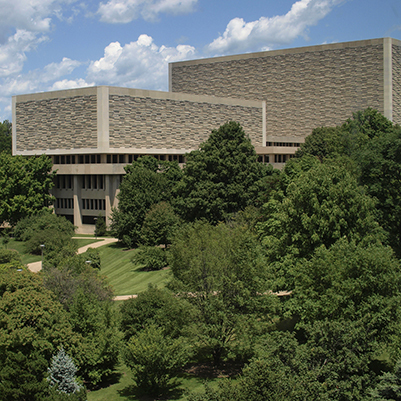 This project involved emergency stone repair at the Herman B Wells Library on the IU Bloomington campus. A repair and restoration program addressed stone veneer on both the East and West Towers. Some of the masonry needed immediate repair. Other areas presented possible future issues.